Charlotte is widely known for themed bar crawls that attract 20 and 30-somethings from all over with “drink specials” and quirky themes. From the Banana Bar Crawl to the Rich & Bennett’s St. Patrick's Day Pub Crawl, you can almost always expect to spot a flood of day-drunk participants. Crawling from bar to bar by foot may be the move for some people, but there's a way to eliminate nomadic travel with an iconic Charlotte vestibule: The LYNX Light Rail. 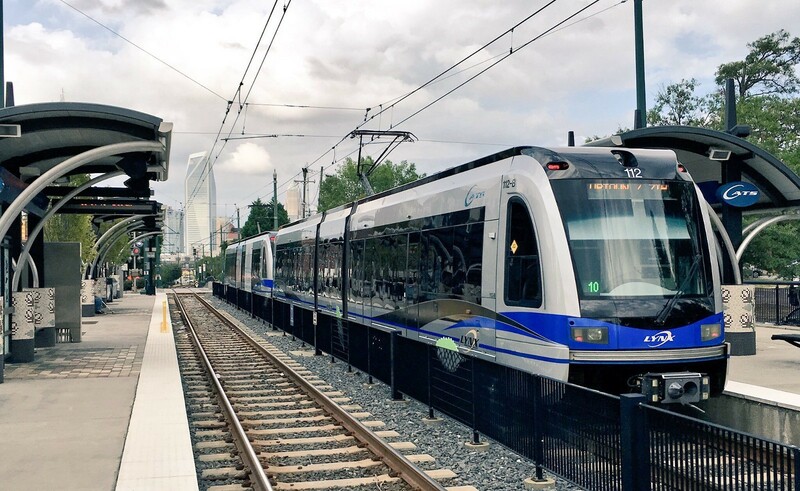 Now that the Light Rail travels all the way up to the University City area, Charlotte has become more accessible in a way that it wasn't before, and it would be silly to not take advantage of it. The light rail has stops all along it's route that have destination bars and restaurants, and we've helped map them out for you for the ultimate day-drinking experience. While this 8-stop bar crawl stretching from University Area to South End won’t get you a cool shirt, the money you’ll save on Ubers and the sanity you’ll keep from avoiding crowds might just be worth it. While the University Area lacks the bar scene of a typical college campus, the second stop on the light rail will drop you right across the street from The Boardwalk. Bonus stop: Pick up Ninety’s Instagram famous ice cream – it won’t help soak up any alcohol, but it’ll last you the 10 minutes until you make it to the next stop. Just a short walk from the station, The Blind Pig offers arcade games, a patio, and a textboarding screen in the heart of NoDa. Did you get consecutively beat in pool at The Blind Pig? Don’t worry, Lucky’s has five times the amount of game options for you to redeem yourself. The 90’s themed bar is spacious and lively and will surely give your group a second wind. While I would suggest sticking with low energy bars at this point in the crawl, the Epicentre offers a range of bars, clubs, and restaurants that are all ideal for a quick stop. This isn’t actually a bar… but at this point you could probably stand to use some food. What better place than an old-fashioned diner serving up cheap, greasy classics?